Welcome back to another installment of Dango News' cafe reviews, an irregular editorial series where we choose a cafe of our interest and detail our experiences with them! 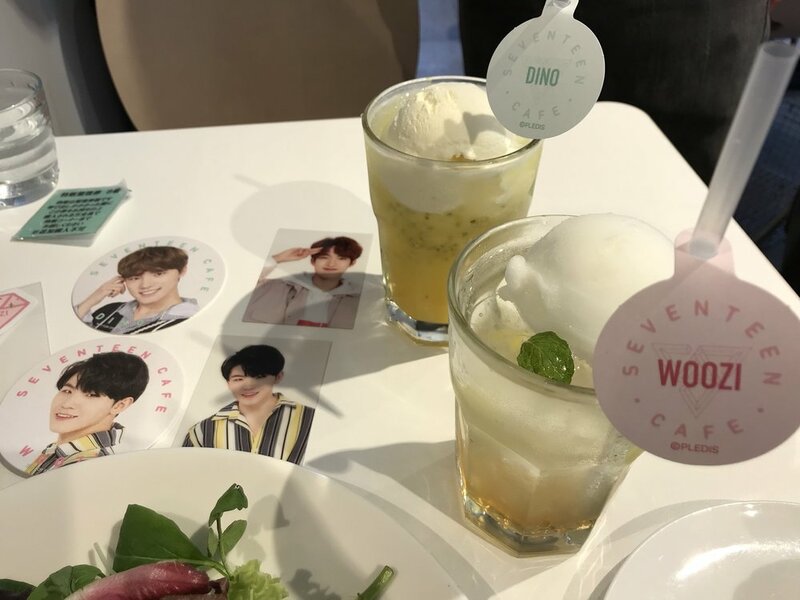 This time we visited highly anticipated and popular Seventeen Café which is themed around the K-pop group named Seventeen who are celebrating their upcoming Japan debut with their item titled: We Make You that releases in Japan on May 30th, 2018. Two of the staff members of Dango News visited this cafe and one was actually a fan of Seventeen (with Woozi as their bias) so this review is partially from a fan perspective as well as from a standard customer perspective. Our reviews and articles are not sponsored nor do we wish to be sponsored because we want to be able to professionally but honestly write about our experiences as fans and foodies so please understand. This café required you to pre-book and it was indeed very busy. The Shinjuku location was entirely booked early on and the Osaka location was rapidly getting booked as well prompting the addition of a 3rd location in Shibuya. When you pre-book your seats you get a plastic picture card of 1 of 13 members at random. As mentioned before one of our staff members is a Woozi fan so she was lucky enough to get a photo of Woozi while the other staff member got DK as their advance reservation gift. The location of the café was relatively easy for us to find from Shinjuku station in which we arrived via the Odakyu line. The check-in system was straightforward. All you had to do was pull up a copy of your conformation on your phone and they digitally stamped it and granted you entry. 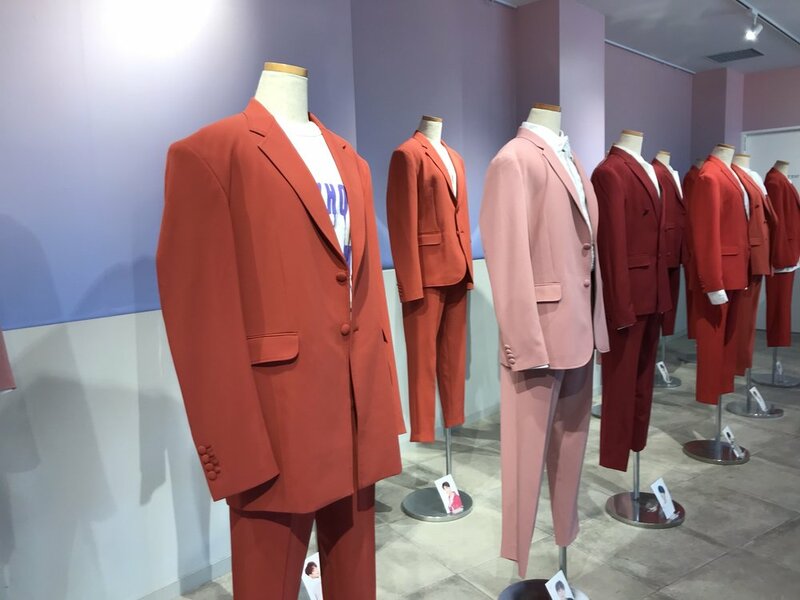 The first floor featured a shop selling merchandise, a drink bar where you could order take-out drinks and featured a display of the members costumes that they wore during their 2018 Japan Arena Tour. The inside of the building was decked out in Seventeens signature rose quartz and serenity gradient. Upstairs is the dining area where you have a second shop that is only accessible by customers who have made their reservation. The merchandise is still the same as the merchandise on the ground level however. To purchase at the shop upstairs when you are given your menu (which we'll discuss further down) you are also given a green square with a number on it. When your number is called you are then able to go up and buy your items. This helps prevent crowding at the merchandise table. At the time of our visit everything was still in stock except for the cupcake pins with each of the members names on them. As for ordering; while you are waited to be seated you are given a menu and a write-in order form. For select food items you are able to select which members name you want to have a topper of. As for drinks each unit has a specific type of drink and each member has their own unique flavor. We ordered the following food items: わたがしステーキプレート & パフェ ～ベリー～選べるピック付 . For drinks we ordered from the performance team which served フルーツ＆ハーブ＆チアシードinジュース. We ordered Dino's drink which consisted of バニラアイス、タイム、オレンジ、チアシード、オレンジジュース as well as a drink from the Vocal team which were フルーツ＆ハーブ＆アロエinレモネード and we ordered Woozi's drink which consisted of レモンシャーベット、ミント、レモン、アロエ、ジンジャーシロップ . When you order a drink you will receive a coaster of the member who's drink you order so we received a Woozi & Dino coaster. While you are eating they also have a projection of Seventeens music videos playing on a loop that customers may enjoy. Both of the dishes we tried were really good and would recommend them to other visitors. Our personal favorite and the highlight was the parfait. It was full of sweets and fruits with a beautiful balance between all of the items inside of the parfait. The drinks were a little more of a hit or miss amongst ourselves and with other customers from our observation. The drink offerings themselves have very specific and subject to taste flavors and the flavors we ordered ended up being more on the strong and tangy side. Looking around the restaurant a majority of the food ordered was pretty much finished but the drinks mostly remained untouched. We speculate it could be just due to other visitors ordering the drink of their favorite member even if they aren't particularly interested in the flavor. Over-all the café was very well put together. The food, theme, and service were all good and with zero issues. It's definitely a fans paradise. The only thing we might want to point out is that the ordering system for food and merchandise might be a little confusing for customers who do not speak any Japanese. However the staff is super helpful so we suspect if you have any issues with ordering or purchasing they'll gladly help you out so it's not impossible for non-Japanese speaking customers to enjoy this cafe. The Shinjuku location will be ending on 5/27/18 and the Osaka location which shares the same menu will continue to run until 6/10/18. The upcoming Shibuya location that starts on 5/30/18 and runs until 7/8/18 will feature a new food & drink menu with the exception of the わたがしステーキプレート dish so a few of the items we feature here will not be found at that café location so please be advised however we do have plans to visit that location as well.